TURN-KEY home you have been absolutely looking for! 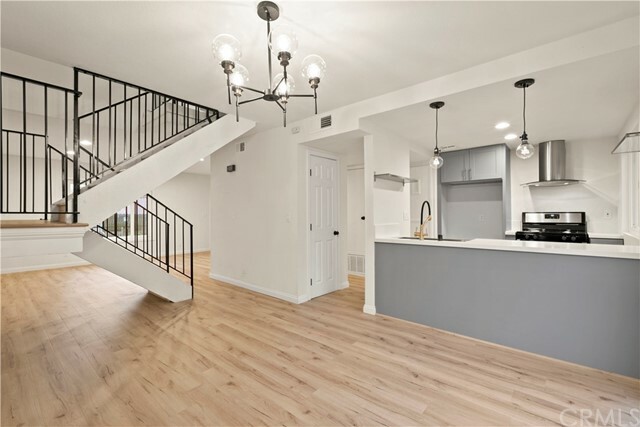 Beautifully renovated 3 bedroom townhouse with amazing view. In the beauiful and highly desired city of Santa Clarita comes this townhouse style condo in a location you will truly love. Renovated kitchen with NEW cabinetry, quartz counter tops, stainless steel appliances, faucet. Renovated bathrooms feature NEW cabinetry, mirrors, light fixtures, tile walls. New laminate floor in the entire home. HOA amenities include pool, spa, trash, water & more. Close to shopping centers. MUST SEE!! !